"I grew up in Manhattan in the 70’s. My parents both worked, and I was an extremely independent five-year-old walking myself to and from elementary school. I was part of a special generation of latchkey kids, we were children left to our own devices, allowed to be raised by the city itself. A key to the front door hung around my neck by a leather strap as to not lose it, hence the term “Latch Key Kids”. Today this would be met with horror and arrest of parents for neglect and abandonment, however, studies have proven that children of this time grew to be more self-aware, confident and well adjusted. So whatever. I was told to always come right home after school, let myself in, and make myself a snack. I‘d open Chef Boyardee Ravioli and eat it cold right out of the can, sitting cross-legged in front of the 13” black and white television until my folks or siblings would come home. I was literally raised by Norman Lear and Gary Marshall. I learned about life and family through syndicated sitcoms and realized at a very young age that my favorite moving images were the ones from California. 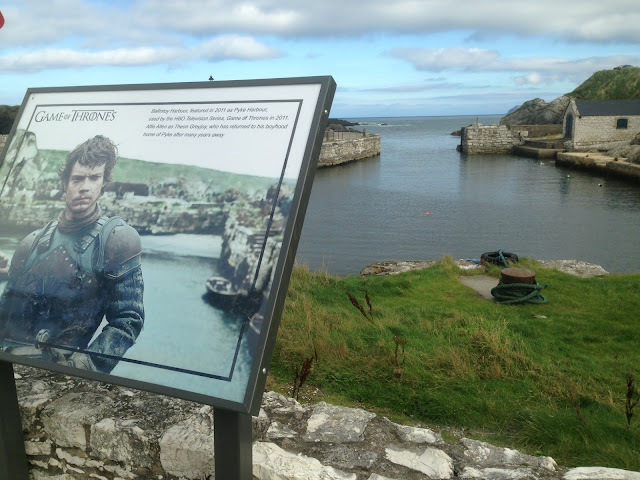 I also was keenly aware that although some shows claimed to be located elsewhere they were all made in Hollywood. 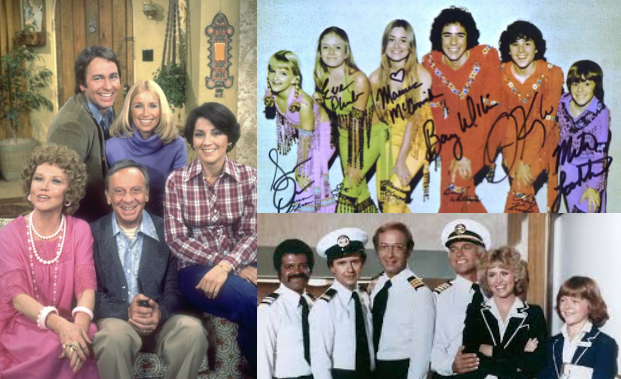 Love Boat always docked in L.A. Three’s Company proved that "hers and hers and his" was so much better in Santa Monica. The Brady Bunch told a story of a lovely lady and a man named Brady who would somehow form a family in a tiny house in Van Nuys. A sunny cul de sac became the iconic location of Knots Landing, filled with intrigue and drama possibly the best of the prime-time soaps. Even cops were cooler! Riding motorcycles in skintight beige pants. 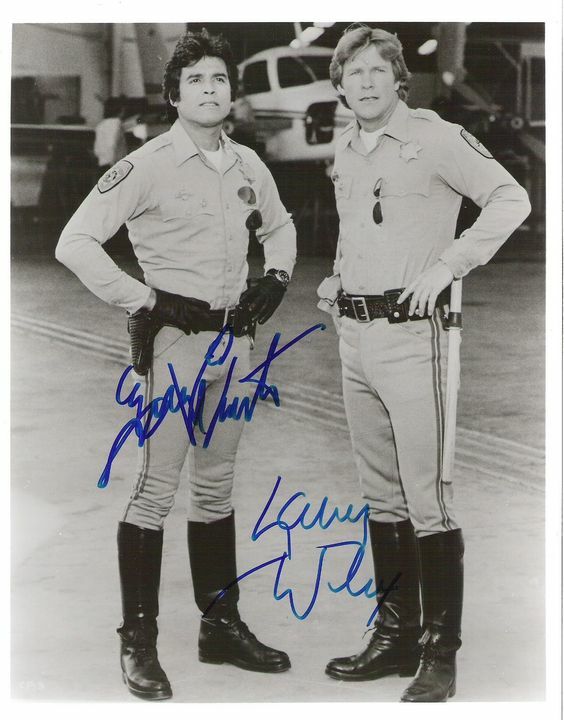 No matter what the premise the location always shone brighter if the setting was L.A.
Television was my babysitter and mentor; I was enthralled with all of it!! Good Times, All in the Family, I Love Lucy, The Carol Burnett Show, The Jefferson’s, The Muppets, Battlestar Galactica, Dallas, The Incredible Hulk, but it was the women of the 70’s and especially the ones from the west coast that became my obsession. Charlie’s Angeles with their feathered hair and braless tops solved crimes under palm trees and Jill Monroe’s (Farrah Fawcett) White Cobra with the blue middle stripe remains to this day my ultimate dream car. To me, Jamie (Lyndsay Wagner) was worth every cent of the six million and clearly the greater of the Bionic duo. But one gorgeous female 70’s icon rose to become supreme! She above all others captured my total attention, fixated, star struck. A Wonder Woman if you will. I would spin around and around in the empty apartment wishing for that iconic flash and that I would transform me into “Star Boy” Wonder Woman’s son. With tinfoil bracelets, Superman bottom underoos and Captain America top. 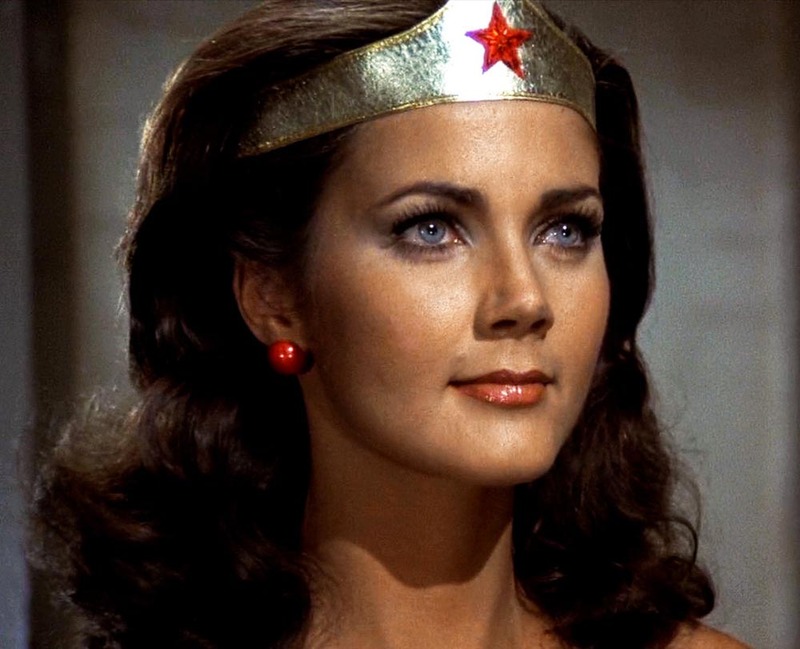 I was Diana Prince’s (Lynda Carter) superfan. 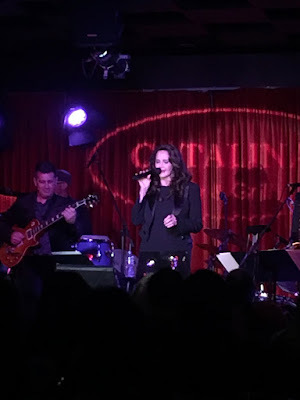 I would cheer as she spun into action transforming herself into a superhero skateboarder on the Venice strip to catch the villain. I would watch episode after episode and marvel at the powers she possessed, in her satin tights fighting for the rights, of the old red, white and blue. I would walk home from school and stop at the comic book store on 81st and 2nd Ave and read every comic on the shelf. Eagerly waiting the next months Wonder Woman title to come out. 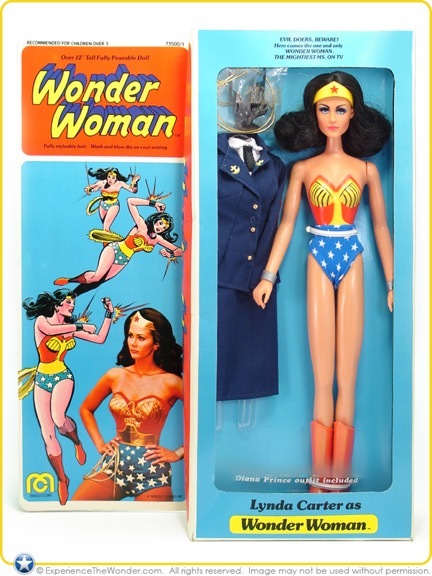 I lost my mind when my brother came home one day with the 12” Mego Wonder Woman doll as a gift for me. It was my most cherished item. Between comics and the first run of blockbuster movies like Star Wars and Star Trek, I become the definition of a comic nerd. California was beautiful. It was where the beautiful superheroes came from. At the age of 6, I knew that’s where I needed to be. 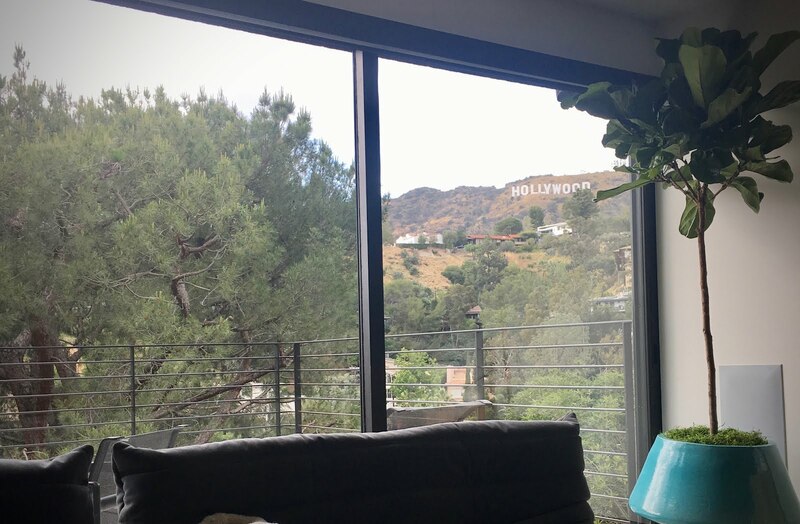 I had a Hollywood Sign poster above my bed and at night my mom would sit at the edge tell me that one-day I would live there. Her promise and my dreams came true. 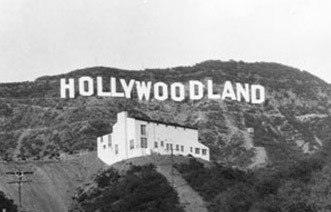 Presently I live in Hollywoodland under the sign. I am lucky to work in Television as a casting director and producer. One of the many things I heart in Hollywood is going to see Lynda Carter live for her musical review at the Catalina Jazz Club on Sunset Blvd. 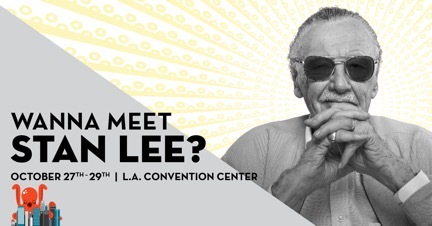 I am also a proud and humbled partner with another childhood hero of mine in Stan Lee’s L.A. 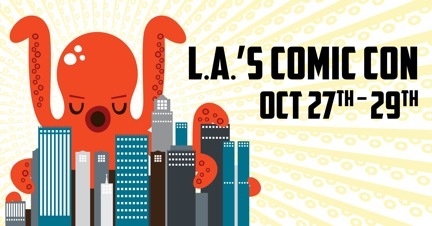 Comic Con, the first sci-fi, comic, fantasy and horror convention for fans by fans in L.A. It’s happening this weekend October 27, 28 & 29. at the L.A Convention Center. 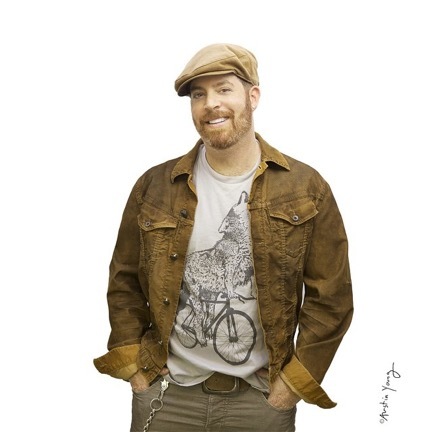 Please come and share in the realization of that awkward 6-year-olds dream."